Satellogic is the first vertically integrated geospatial analytics company. They drive real outcomes with planetary-scale insights we can trust. By building an accurate and up-to-date picture of our planet and the many forces that reshape it everyday, Satellogic works to solve the world’s most pressing problems. We collaborated with Satellogic to design and develop their website to showcase their solutions across each industry. 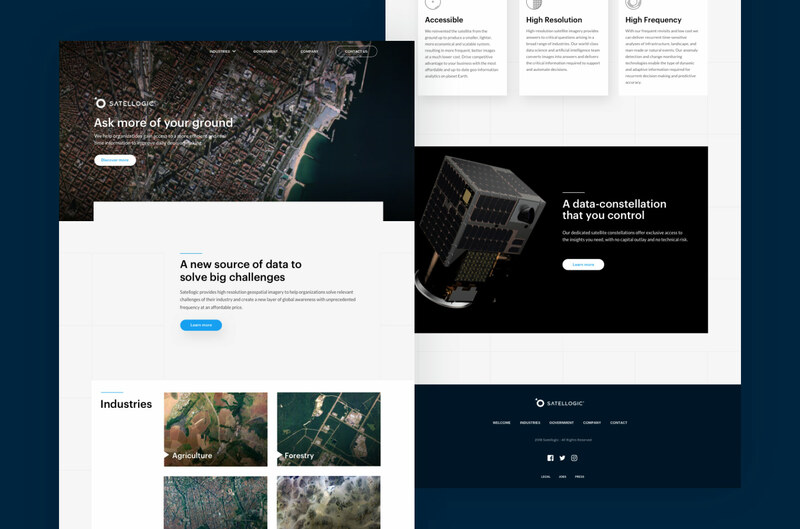 Besides the restyling of the website, the main goal of the project was to clearly communicate the value of their geo-spacial imagery service and help potential customers understand the benefits of using Satellogic's satellites constellations. We ensured a simple and intuitive experience on every section, while allowing a unique personality for each industry. To accomplish this balance we made multiple rounds of prototyping and iterations with the client. Once we defined the system to organize all the content, we started to combine different elements on the layout to ensure a consistent experience on every screen. Every component needed to be fully accessible on desktop and mobile. 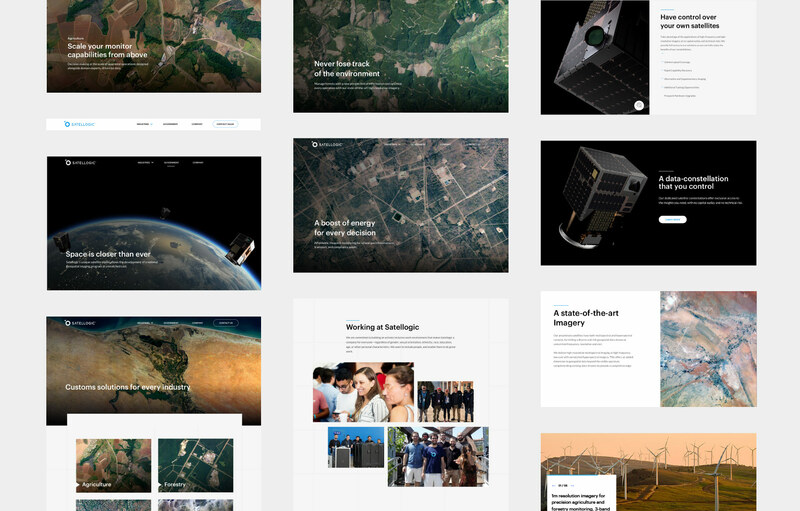 From the first time we knew that we had to represent their value proposal with high level images of the satellites and their geo-spacial imagery service. The challenge was to clearly articulate these elements into an appealing and personal message to each industry. Another main challenge was to highlight Satellogic’s culture to engage with new talents. The company is committed to building an actively inclusive work environment regardless of gender, sexual orientation, ethnicity, race, education or age. We worked closely with the team to design an appelaing message about what makes Satellogic an amazing company and a great place to work. 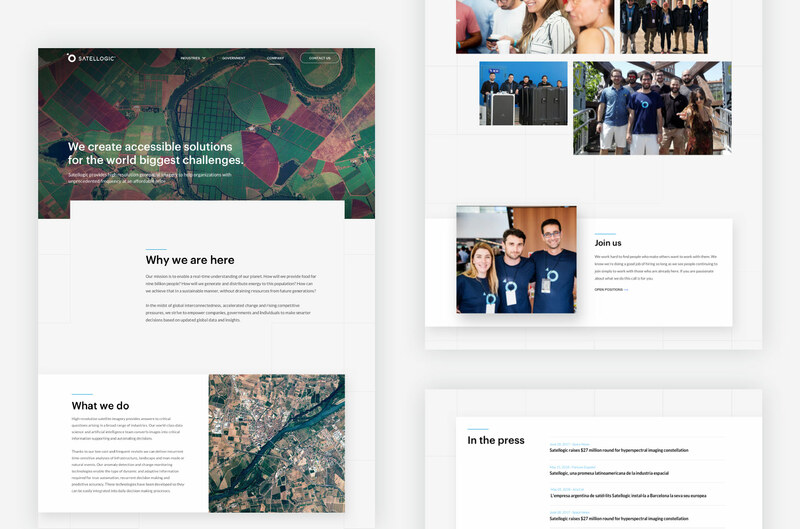 Once defined the content we designed a more dynamic section focusing on a different target more interest in the values of the company rather than their services.